Green Lantern fans may be getting twice as much as they could have hoped for in the upcoming Justice League movie. A new rumor suggests that not one but two Green Lanterns will make their DC Extended Universe debut in Justice League this November. The rumor comes via Umberto Gonzales of Heroic Hollywood, who did temper expectations by noting that there’s still time for Warner Bros. and DC Films to cut one or both Green Lanterns from the film. Fans have been wondering when they may see a Green Lantern show up in the DC Extended Universe ever since some early rumors about one appearing in Batman v Superman: Dawn of Justice turned out not to be true. The Justice League trailer released at Comic-Con International: San Diego made the first reference to the Green Lantern Corps in the DC Extended Universe when the voiceover noted that Earth has “no Lanterns.” The statement has led many fans to wonder what happened to Earth’s Lanterns. The Green Lantern Corps is set for its own film in 2020, but certain Green Lanterns of sector 2814, the sector of space that includes Earth, have been members of the Justice League, most notably founding Justice League member Hal Jordan. Other prominent Green Lanterns from Earth include John Stewart, Guy Gardner, Kyle Rayner, Simon Baz, and Jessica Cruz, all of whom have served as members of the Justice League at different times. Green Lanterns of the DC Comics Universe used to patrol their sector alone, but more modern stories of the Green Lantern Corps have established that the Lanterns now operate with partners, like real-world police officers. This makes the idea of two Green Lanterns debuting in Justice League seem even more plausible. Justice League currently has a 4.19 out of 5 ComicBook.com User Anticipation rating making it the third most anticipated upcoming comic book movie among ComicBook.com readers. 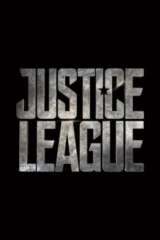 Let us know how excited you are for Justice League by giving the movie your own personal ComicBook.com User Anticipation Rating below.